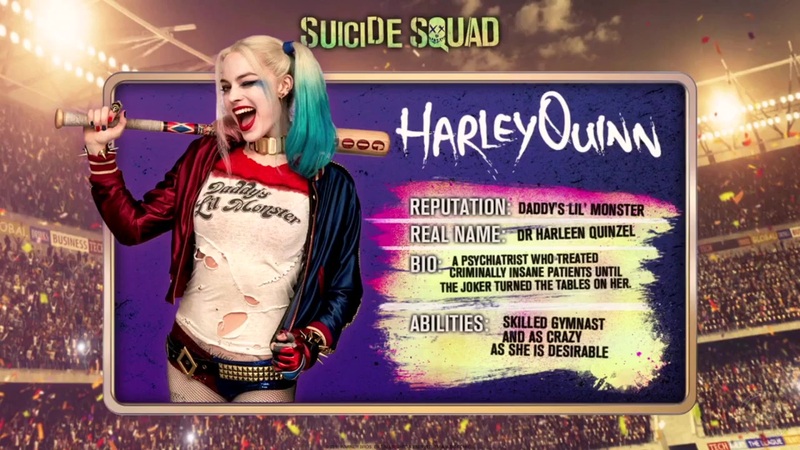 'Suicide Squad' - Meet 'The Team' ~ Harley Quinn. Screencapture of Harley Quinn's character bio from 'The Team' promo.. HD Wallpaper and background images in the Suicide Squad club tagged: photo suicide squad 2016 movie film the team promo screencap harley quinn margot robbie. This Suicide Squad photo contains 看板, ポスター, テキスト, 黒板, and サイン. There might also be マルチプレックス and 多重化.